Toews Ends Scoring Drought In 2-1 Win As Chicago Ties Stanley Cup Finals : The Two-Way The Blackhawks star knocked in a goal against the Tampa Bay Lightning in the second period, and teammate Brandon Saad added another in the third. The series returns to Tampa on Saturday. Chicago captain Jonathan Toews did in fact break out of his scoring drought and, with a second goal by left wing Brandon Saad that was assisted by Patrick Kane, propelled the Blackhawks to a 2-2 series tie Wednesday night against the Tampa Bay Lightning. Tampa Bay center Alex Killorn scored for the Lightning, which had hoped to have Chicago on the brink of elimination when the Stanley Cup finals return to Florida on Saturday night at 8 p.m. ET. It was his second goal of the series and eighth of the playoffs. Chicago Blackhawks Jonathan Toews (19) and Patrick Kane (88) confer during Monday's Stanley Cup Final game against the Tampa Bay Lightning. While the Chicago Blackhawks are down two games to one in their best-of-seven Stanley Cup Final against the Tampa Bay Lightning, they are far from out. But two straight losses have pointed to some areas that do need to change if the Hawks want to turn this series around. Not least is the performance of their two top players, team captain Jonathan Toews and Patrick Kane. They are arguably two of the best power forwards in hockey today, but so far in this series, they have produced exactly 1 point, an assist by the 27-year-old Toews. In Game 2, Kane didn't even get a shot on net. 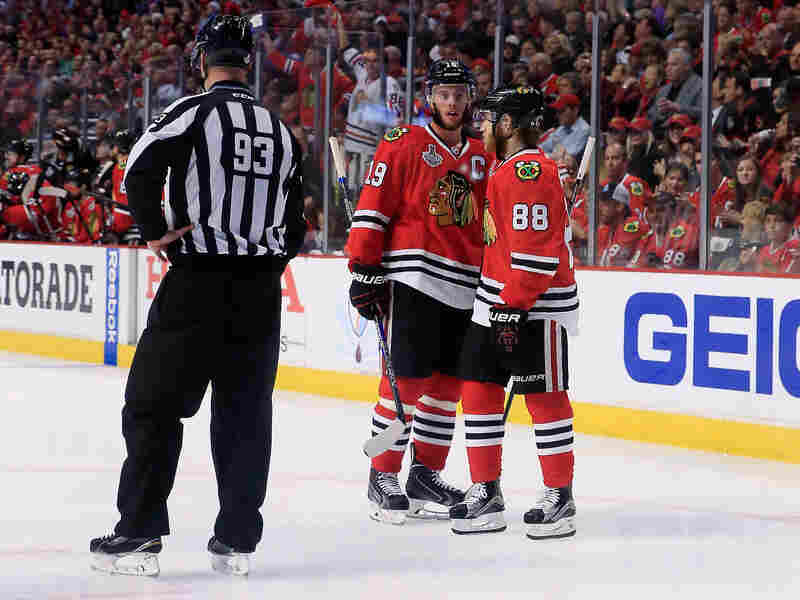 Before Game 3, Kane admitted to some frustration. "As an offensive guy, you want to be helping produce, especially at this time of year," he said. Blackhawks goalie Corey Crawford also needs to up his performance. 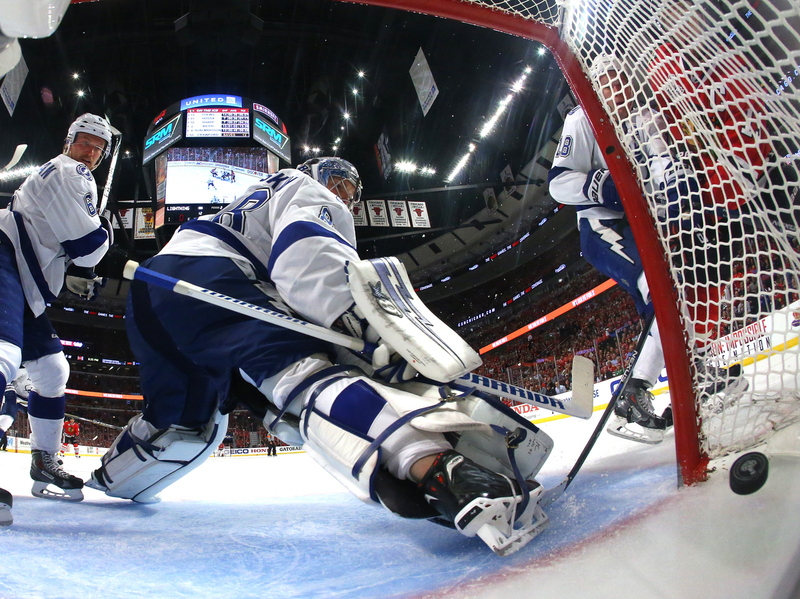 After a stellar Game 1, giving up only an early goal, he had a lackluster Game 2, giving up four, on just 24 shots. He bounced back for Game 3 but still wasn't good enough to stop a Tampa attack that has been relentless throughout most of this series. There are still plenty of upsides for Chicago, the most interesting one being the performance of 20-year-old rookie forward Teuvo Teravainen. In Chicago's opening game victory in Tampa, the young Finn scored the game-tying goal and set up the winner. He also scored in Game 3, briefly giving the Hawks the lead. This season, he netted just four goals in his first 34 games. He's scored three in the last five games of the playoffs alone. "Every chance he's getting, he's making big plays," Toews said. "He's already doing it in the Stanley Cup Final, so it's pretty amazing to watch." On defense, Chicago's Duncan Keith continues to be a dominant force, averaging a staggering 31 minutes a game on the ice, with a playoff-leading 18 assists. And the Blackhawks do have history on their side. Since coach Joel Quenneville took over behind the bench in 2008, Chicago has had a 30 and 30 win-loss record in Games 1 to 3 in the playoffs, but it has produced a dominant 40 and 14 record in Games 4 through 7. This is why the Hawks are in their third Stanley Cup Final in six years. 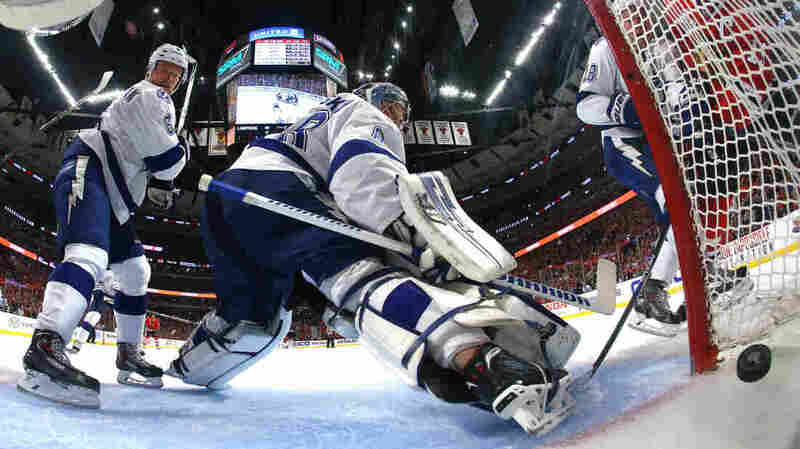 For its part, Tampa Bay isn't taking its 2-1 Final lead against Chicago for granted. "This is going to be a good test for this group," Tampa Bay captain Steven Stamkos said. "Obviously they have the experience. But we're going through it. You have to go through these situations to gain that experience. We seem to rise to the occasion every round." And incredibly, Tampa Bay has been rising to the occasion in this series without production from Stamkos, another highly skilled power forward. He has no points in this Final so far. If he starts to contribute more, Chicago could be in real trouble. But for now, Tampa's second line, the so-called Triplets line of Tyler Johnson, Ondrej Palat and Nikita Kucherov, has carried the load. Combined, they have 30 goals and 51 assists in the playoffs. Johnson is the playoff scoring leader. Kucherov is second. Goalie Ben Bishop's health is still a question mark. He was removed late in Game 3 for undisclosed reasons, possibly an injury. But he played Monday and only seemed to get stronger as the game progressed, and there has been no talk of him being benched tonight. As long as Tampa's players don't make the mistake they made in Game 1, when they sat on a one-goal lead in the third period and were punished with two quick Chicago goals, the Lightning should be fine. Their solid, attacking style play of the last two games suggests they've learned their lesson. Game 4 of the Stanley Cup Final is Wednesday night at 8 p.m. EDT.